Here you can find live streaming of Ganpati visarjan from Lal Baugh, Mumbai (India) - This is best option for people who are working in the offices and Out of India people. 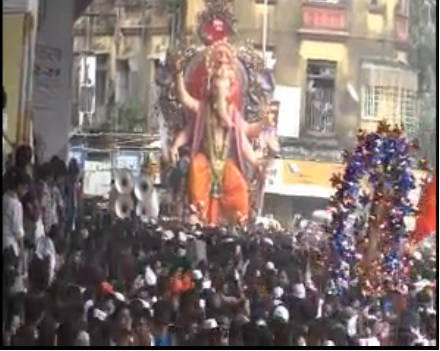 Click below Picture to get live darshan of Hindu Lord, Ganesha's Vasarjan from Mumbai. You can also share this link with your friends and circle, so that they also can get benefit of Darshan of Visarjan live.